Black or transparent screens is a common bug in vasFMC. Correct reinstall procedure should fix all your problems. Current success rate – 100%. Some people complain that vasFMC does not work for them. They mention black screens instead of ND, PDF and so on. In some cases (like mine) – vasFMC worked for a moment after installation, then stopped working and I got black screens. Then – it disappeared at all and 2d panels were transparent when I opened them. Actually – whether you have black or transparent screens in your panels depends on how your panel.cfg file is coded. For the purpose of this troubleshooting manual – it does not matter. It fixes both black and transparent screens problem. This solution is dedicated to gauge version of vasFMC in FSX SP2, FSX Acceleration and FSX:SE. Download vasFMC from my Google Drive. Uninstall your vasFMC. If you have both versions (gauge and standalone) – uninstall both versions. Check the folders of both applications – if there is anything left – delete it manually and delete folders. 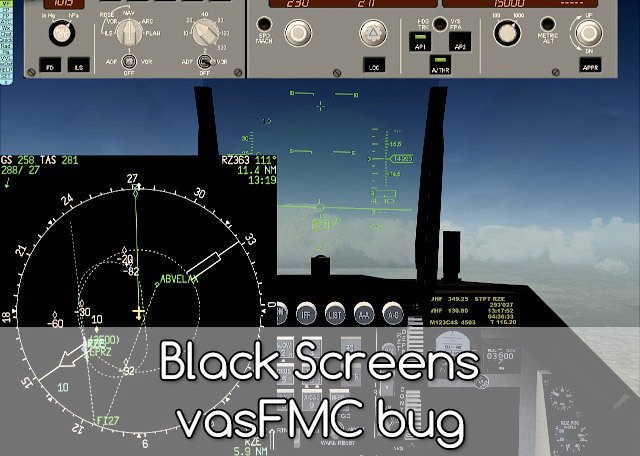 Check vasFMC files were deleted from gauges and modules folders in your main FSX folder. Should you see anything vasFMC related – delete it. Open your fsx.cfg and delete all lines mentioning vasFMC under [Trusted] section. Install vasFMC (gauge) into your main FSX folder (path will look like this C:/FSX/vasfmc/ – presuming your FSX folder is called FSX and it is located on C:). Install vasFMC (standalone) into the same folder (set your path during installation). Install AIRAC downloaded from appropriate provider (both I and my testers used Navigraph manual installers). I do not know if this step is necessary but after many attempts it find it’s way into my notes. But if you are installing vasFMC you will probably need current AIRAC so you may install it even if it’s not necessary to solve this problem. Run your FSX, select flight and when you in a plane on apron – run vasFMC – standalone version. Close vasFMC standalone and FSX. Add vasFMC (gauge) panels to your aircraft (follow the manual or look for my vasFMC tutorials in “How to” section). Run FSX and load the plane (with vasFMC panels). Send me an email of a facebook message. If you saw that someone struggled with it – please tell him about this text. I hope you will have a lot of fun with vasFMC in your planes. Black or transparent screens is a common bug in vasFMC. Correct reinstall procedure should fix all your problems. Current success rate - 100%.